Single Head Auger Powder Filling Machine Is Used To Fill Variety Of Product Like Granules, Powder Etc In Bottle. It Basically Works On Augemetric Principal To Fill Powder In Bottle. Works on augermetric principle for filling of powder. Auger rotation is done by clutch brake system & the numbers of auger rotations are controlled by clock disc mechanism. All contact part is s.s 316 quality. Simple operation – easy to operate & maintain. 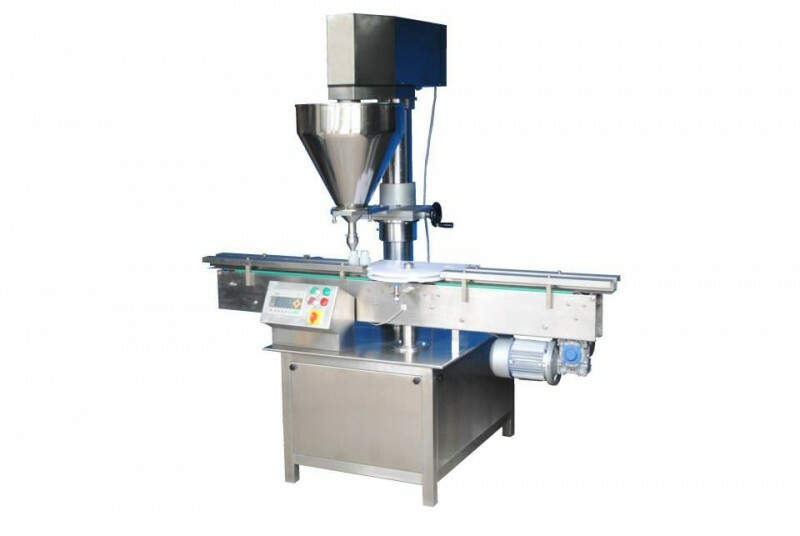 Conveyor of Single Head Auger Powder Filling Machine feeds the bottles from left to right. The bottle fed in a linear motion on the conveyor then it will be sensed by sensor which gives signal to the magnetic clutch. It will rotate the augar and required amount of powder will be filled in bottle. Finally the bottle will be filled with powder as per the required quantity and it will index further through on single stack conveyor to the downstream machine. 25 MM To 90 MM MAX.